Marcus Friman, alias 'Land of Trees', describes himself as the romantic simplicity of a modern Earth wanderer - In a country like Sweden, where more than half the territory is covered by forests, it’s hard not to come into contact with nature at some point. Such an inviting environment spontaneously gives birth to wanderers, explorers of Earth who embrace a sort of nomadic lifestyle that fosters artistic inspiration. 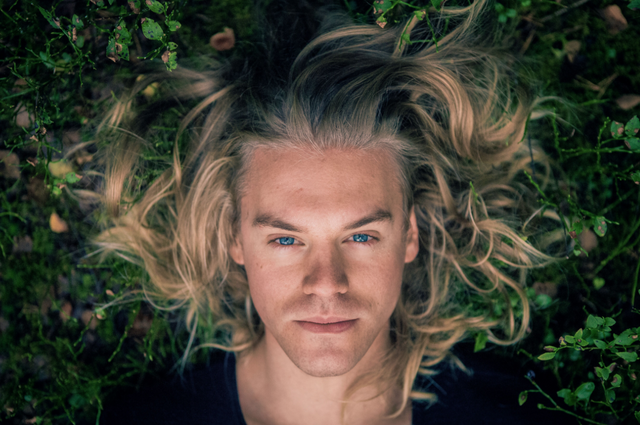 Marcus Friman, singer/songwriter behind Land of Trees, has understood and cultivated this way of living as a defining trait of his indie-folk solo project. Just like sitting in the middle of the forest and letting its active stillness wrap around you, Friman’s music proposes a natural simplicity devoid of bombastic instrumental arrangements where acoustic sounds support the poetry of the vocals as the center of the listening experience. I’m wonderful, thank you for asking! Right now I’m in the studio working on the upcoming album, where “Just Imagine” will appear. Very down to earth, organic and honest. After all, the name “Land Of Trees“ is kind of a hint towards organic music in itself. Ben Howard, Stu Larsen, Passenger, First Aid Kit, Christopher Paul Stelling to name a small portion of amazing songwriters first and foremost. I can't listen to a song without hearing the lyrics and every single one of the names above baffle me daily with their lyrics! When you add a sound that gives goosebumps to these lyrics you have my attention. I usually just lean on my voice and the guitar. Cajun & banjo has also played a big part in my music and violin/viola will finally be a part of my upcoming music which is super-exciting. I bought a banjo and a violin but for now I'm sticking to the guitar, practicing these instruments does not make one popular..
My girlfriend yelled out "actor" when I read this question but I have only tricked her to believe such non-sense over the last few years. It's just an act.